We are a family run logistics company, based in the West Midlands, just off Junction 10 of the M42 in Tamworth. We find this to be an ideal location for all national work. 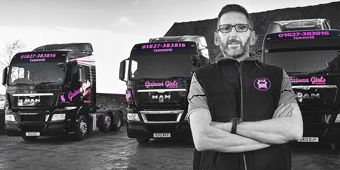 Our black and pink liveried vehicles are instantly recognizable and our uniformed drivers will help to make a good impression on behalf of both ourselves and our valued customers. 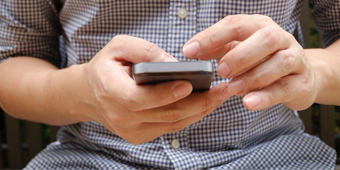 As a response to our customer’s needs, we run a 24/7 operation. We operate 24 x 44 tonne articulated vehicles, alongside a variety of curtain-side and rolling skeletal trailers. We employ a staff of 32 full time and 3 part time drivers and also have a dedicated spare vehicle to cover any unforeseen situations; all to ensure smooth operations and timely deliveries. We also employ a night supervisor for out of hours coverage. We have long-term relationships with our customers and are proud to count TNT, Maritime Transport, Wincanton and Pladis Global amongst these. If you are interested in joining our team please download the application form on our vacancies section.